Funny Animals: People have different of kind of pets ranging from chameleons to dogs. They treat their pets as their children and love to dress them up too. 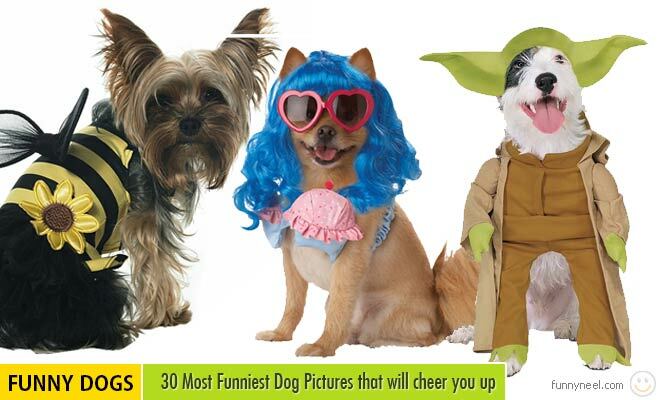 Sunglasses on doggies, wearing a pirate hat or even getting their fur painted in blue, makes these funny animals look wonderful and they look so super cool like Hollywood stars.Even though life gets hard every now and then, our pets remind us that everything will be ok. Studies have even shown that owning a dog or cat can reduce stress. Download these funny animal pictures and share them with your friends. In this post we have added 25 Funny Animal Pictures that will cheer you up. Epic Old Man - Food Fight!